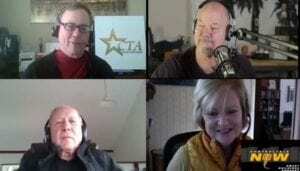 Episode 254: ControlTalk NOW — Smart Buildings Videocast and PodCast for week ending Feb 11, 2018 features two of our industry’s most prominent voices: Ken Sinclair, editor of Automated Buildings, who reviews his February edition, and Therese Sullivan, editor of Building Context, who provides detailed insight to KMC’s 2018 Genius Summit and several key AHR breakouts. 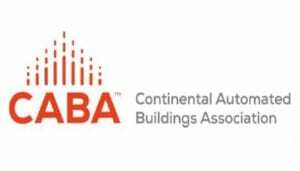 Important update for the Niagara Summit 2018 in New Orleans; 2018 AHR Expo report — AHR posts the records; Registration links provided for CABA’s Intelligent Building Council webinar and Lynxspring’s upcoming Niagara 4 templates webinar; and on a very special note, watch the 2017 ControlTrends Awards, in its entirety! February’s 30 Minutes with Lynxspring Webinar Niagara 4 Templates, February 21, 2018, 12:00 PM CST. Dear Lynxspring Business Partner, 30 Minutes with Lynxspring, our monthly Webinar series hosted by Lynxspring subject matter experts and special guests, returns Wednesday, February 21st at 12:00 CST. 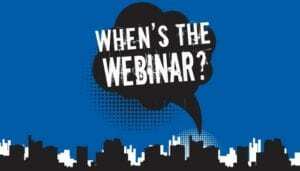 Amanda Toomey, a member of our Training Team, will discuss creating Niagara 4 templates. Click here to register. Niagara Summit 2018: New Breakout Sessions Added! New Orleans, Hyatt Regency, April 15-17, 2018. planning is well underway for Niagara Summit 2018. We’ve recently added new breakout sessions that are packed with Niagara best practices, case studies and training. At Niagara Summit 2018, you’ll: Learn from the pros in the Developer Bootcamp and gain hands-on knowledge and practical tips for developing on Niagara 4; Learn about new business opportunities, trends and more from Niagara Community thought leaders in the Business Track and much more. Register here! ControlTalk NOW interview with two of our industry’s most prominent voices: Ken Sinclair, editor of Automated Buildings, who reviews the theme of his February edition, and Therese Sullivan, editor of BuildingContext.me. Therese gives us a detailed account of KMC’s 2018 Genius Summit and several key AHR breakouts she attended. 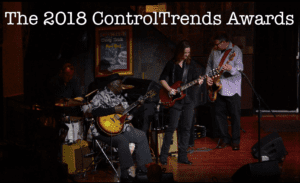 You are Invited to Experience the Entire 2017 ControlTrends Awards Show — Special Viewing Tomorrow! Did you miss all the excitement of this year’s ControlTrends Awards? No worries, you can see the entire show on a live re-broadcast! We will be streaming the entire show tomorrow, Thursday, Feb 8th at 8:00 PM EST. Just come to controltrends.com and click on the post. Check out this preview video to get a feel for what happens when the superstars of Smart Building and HVAC Controls Industry come together to celebrate the best of the best! 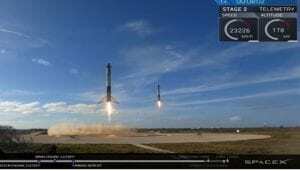 These 2 Falcon Heavy SpaceX Rockets are Landing! Reusable, Refuelable Rockets for Space Travel is a Reality! Watch the historic Falcon Heavy launch and the incredible and flawless landing of two the Falcon Heavy’s booster rockets. Watch all of the video! But, the simultaneous landing occurs around minute 30. The extraordinary implications are that reusable, refuelable rocket ships make continuous space travel, from one point to the other — and back, as well as the exploration and habitation of Mars very likely — and no longer the science fiction fare of H.G. Wells. 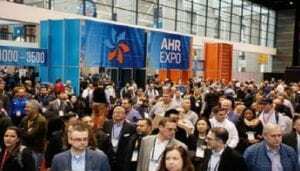 2018 AHR Expo is Record-breaking — Smashes Six All-time Highs! By any measure, the 2018 AHR Expo, was an unparalleled success, setting six all-time highs including more than 72,000 in total attendance and 49,995 registered visitors, both records. When the 70th edition of the world’s largest HVACR marketplace convened in Chicago in January, four additional records were set, including the number of exhibitors, square feet of exhibit space and countries represented. Intelligent Buildings Council (IBC) Webinar Tuesday, Feb 13, 12 Noon – 1:30 PM ET Special 30 Minute Presentation “Tax Incentives for Green Buildings.” CABA Board member and IBC Chair, Trevor Nightingale (National Research Council), IBC Vice-Chair, Harsha Chandrashekar (Honeywell International Inc), IBC Vice-Chair, Robert Lane (Robert H. Lane & Associates Inc.) and IBC Vice-Chair, Bob Allan (The Siemon Company) are pleased to announce that the next CABA IBC meeting will be held Tuesday, February 13, 2018 at 12 Noon – 1:30 pm ET by webinar. Agenda, slide deck and other supporting documentation will be attached at a later date. Register here!